It’s been a great year for Speaking of Research. Visits to the website rose 30% to break new records in 2017, with more new content added than in any previous year. It is not just web traffic which saw a large rise, our media work also increased in 2017 as we provided comment to outlets including Science, the Washington Post, The Sun and more. This has all helped SR’s work to defend public interests in science, support scientists, encourage greater openness, and put pressure on large government institutions. We are also fast approaching out ten-year anniversary, which we will tell you more about in due course. This post aims to highlight key events and some of our hard work in 2017. February: SR takes a stand against USDA website data removal. The year held new challenges, starting off with the removal of data from the website of the major US federal agency (USDA) charged with oversight of facilities that house animals covered by the Animal Welfare Act. In February, SR took a stand against the USDA’s removal of data from their website, writing: “We believe the availability of data can foster an environment of openness and transparency about animal research.” The Washington Post and Science both mention SR in their coverage of the USDA decision. From Science Insider: “’The USDA should ensure it puts up as much information as possible for the public,’ says Tom Holder, the director of Speaking of Research… ‘Because if it’s too difficult to get at, people start to suspect that something is being hidden from them.” At the Public Responsibility in Medicine and Research meeting, in a panel including those from USDA, PCRM, PETA, and NABR, SR editor Allyson Bennett advocated for restoring the USDA website. Fortunately, the USDA partially reversed their decision, perhaps in part due to pressure from a broad range of groups. March: SR reaches 300 statements in its comprehensive list and review of institutional websites and animal research position statements. Over several years, SR has developed a comprehensive list and system for evaluation of university, company, and charity webpages about animal research. In March, this list reached 300. In July, the list is mentioned in a Science article on transparency and openness about animal research (read more here). SR’s approach has been adopted by others, leading to similar lists by other advocacy organizations that include the Foundation for Biomedical Research (FBR), Americans for Medical Progress (AMP), and Understanding Animal Research (UAR). In March, SR members Jeremy Bailoo and Justin Varholik launched SR’s popular weekly Research Roundup. The Roundup provides readers with a quick-read snapshot of new scientific and medical discoveries due to animal research, with policy news, and links to media coverage. April: SR open letter questions private workshop to evaluate the “necessity” of monkey research. Speaking of Research has regularly served as a venue for the scientific community to express positions on current issues and events relevant to animal research. This was the case in April, when SR hosted a letter signed by dozens of scientists that encouraged critical examination and healthy skepticism of a private workshop convened at Johns Hopkins University. The letter reads: “The private workshop has the appearance of being secretive while also directly opposing the processes in place for responsible public decision-making. As such, it appears to be yet another attempt to influence decisions about science without adequately representing either public interests or the breadth and depth of expertise in the scientific community.” To date, there is no public report on the workshop proceedings. May: SR post on mis-used rabbit image is viewed over 80,000 times, making it the third most popular blog post on the website. 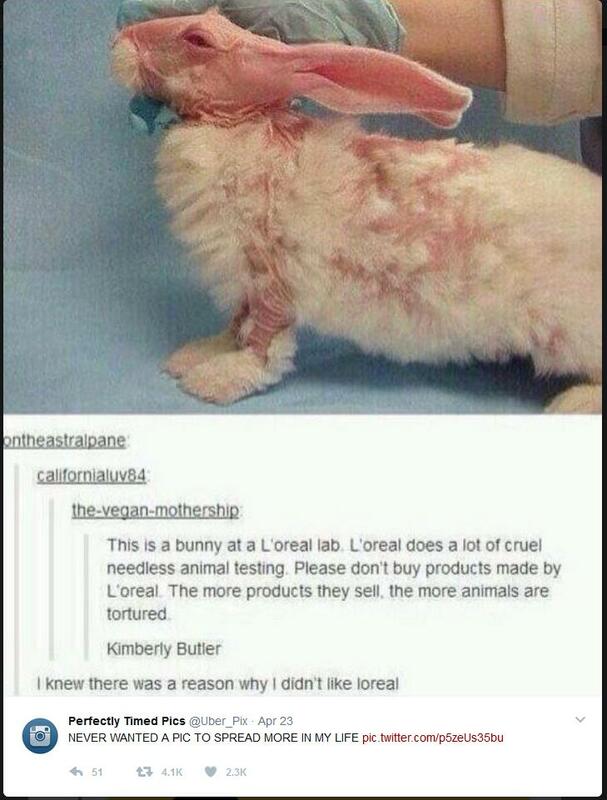 It is no surprise that images of animals are often used in campaigns against animal research. What is surprising is the frequency with which these images are not actually of animals in research. In this post and others, SR corrects the record. 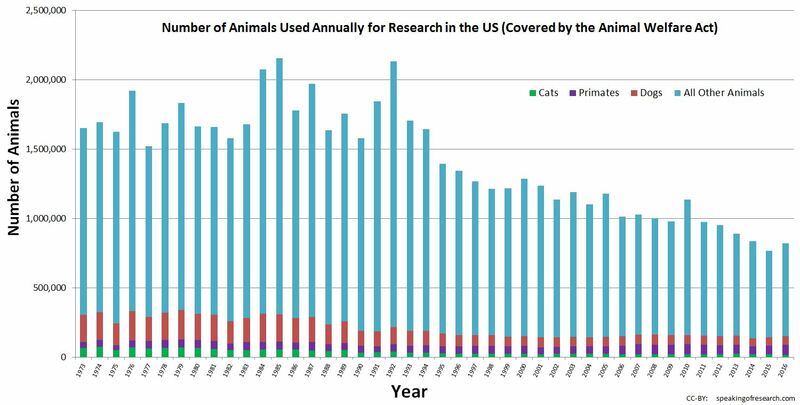 June: SR is first to report on annual release of US research animal numbers by USDA. In the US, institutions must be registered with the USDA to conduct research with animals covered by the federal Animal Welfare Act. These facilities are required to report annually the number of animals they house and use in research. SR posts animal research and testing use numbers across the world, maintaining a complete listing of animal use reports for many countries. To find those reports, see this page. July: SR takes the initiative in defending the use of dogs in research to benefit members of the armed services, military veterans, and others. A campaign against biomedical research conducted using dogs at the US Department of Veterans Affairs (VA) gained traction among some legislators in 2017. In view of that, SR defended the work, writing about the remarkable achievements of dog research at the VA and the tremendous loss that its cancellation would be for veterans and the public. September: SR challenges PETA over its aggressive targeting of a postdoctoral researcher at Yale University. 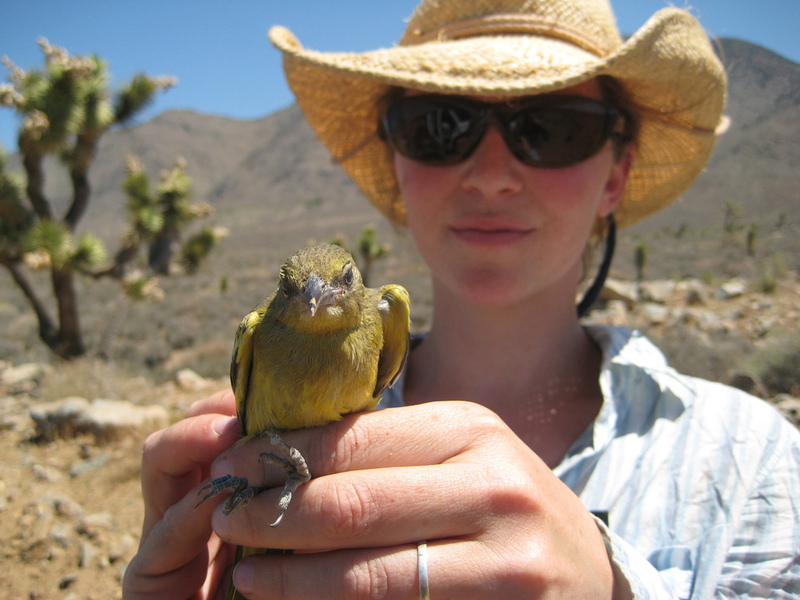 Scientist Christine Lattin studies birds to better understand the impact of stress on animals and human. Over many months in 2017 a PETA campaign against Lattin’s research generated threats, home protests, media stories, and more. Dr. Lattin, already committed to public communication, continued to speak about her research. Others joined her, including SR. Hundreds of messages of support for Dr. Lattin came through an SR article about the campaign. SR provided a thorough debunking of PETA’s claims about Lattin’s research and spoke with Science in their coverage of the campaign. 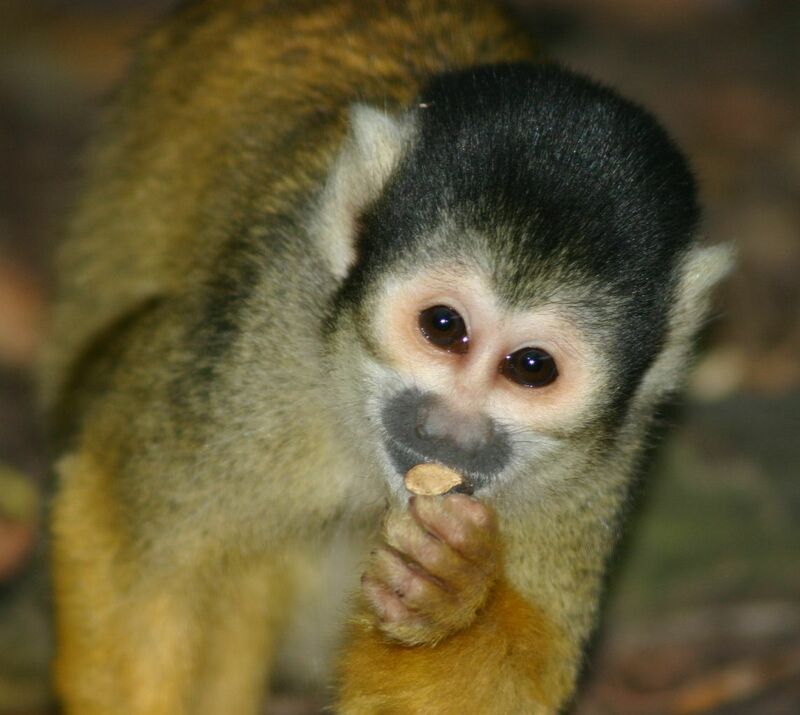 Squirrel monkey. Source: Wikipedia Commons. Also in September: SR challenges Jane Goodall and White Coat Waste. In the same month, SR hosted a letter signed by dozens of leading addiction researchers and challenged Jane Goodall and White Coat Waste over their letter targeting FDA research on nicotine addiction. FDA was also challenged by a number of scientific organizations, including the American Psychological Association (APA), American College of Neuropsychopharmacology (ACNP), and College on Problems of Drug Dependence (CPDD) that called on the FDA commissioner to explain their cancellation of the project. SR responded to the FDA’s cancellation of project, as covered by The Scientist. October: SR reports on recommendations for reducing burden in research regulations in the US. 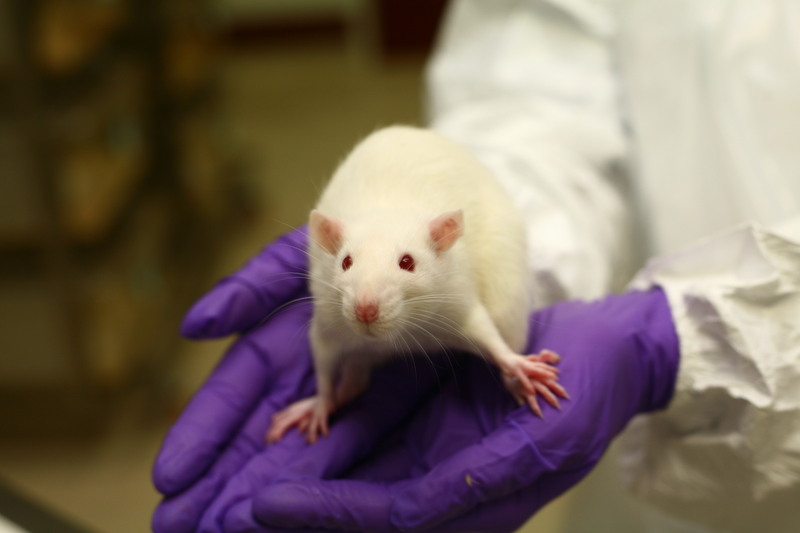 In late October, a group of professional scientific organizations including the Federation of American Societies for Experimental Biology (FASEB), the Association of American Medical Colleges (AAMC), and the Council on Governmental Relations (COGR) released a set of groundbreaking recommendations entitled, “Reforming Animal Research Regulations: Workshop Recommendations to Reduce Regulatory Burden.” The goal of the report is “to provide actionable recommendations for promoting regulatory efficiency, animal welfare, and sound science.” Among the issues addresses in the report is the potential for streamlining the multiple federal agencies and pathways for standards, oversight, and transparency of federally-funded research, including the use of mice, rats, and birds. November: SR publishes new edition of their guide for organizations explaining their animal research online. One of SR’s primary accomplishments is providing tools and amplifying the voices of others engaged in public communication about the role of animal research in scientific discovery and medical advances. Popular materials created by SR include our press briefings (2-page hand-out on basic facts about animal research); FAQs about research, regulation, and myths; and our guide for organizations. SR members also continue to take our message and materials to scientific conferences. In November, SR editors Amanda Dettmer and Paula Clifford were panelists in a Society for Neuroscience session titled “Animals in Research Panel: How to Effectively Communicate Your Animal Research: Elevator Speech, Social Media, and Best Practices.” A panel at the American College of Neuropsychopharmacology meeting “Advocating for Animal-Based Neuropsychopharmacology Research” included SR’s Dettmer, Clifford, and J. David Jentsch. December: SR redesigns and expands its website. 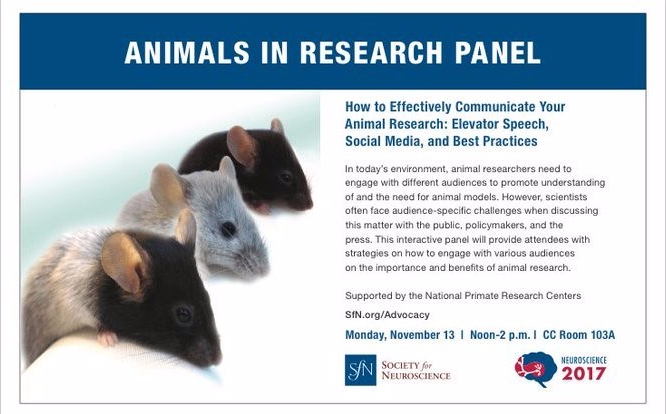 SR’s website provides news content, commentary, and a space for the research community to talk about animal research and their perspectives on news, events, and policy. Our site tracks animal research across the globe, with a new page providing a straightforward compilation of historical animal research statistics and a growing international list of institutions’ webpages about animal research. We encourage you to link to Speaking of Research on your own websites. We hope to have a successful 10th year in 2018. Until then all of us at Speaking of Research wish you a Happy New Year. Previous Previous post: Research Roundup: gene therapy for inherited blindness, urea implicated as a major cause of dementia and more! Next Next post: Research Roundup: candidate gene for bad breath found, using mouse stem cells to grow hairy skin and more.